Sometimes people make mistakes but don’t worry! – Engraving plates are attached with double sided tape so can be removed by lifting carefully from one side. Replacement engraving comes with new tape and will cover any marks that may occur when removing. Sometimes people make mistakes but don’t worry! 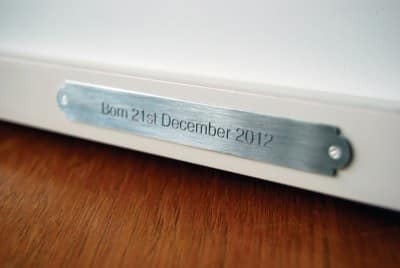 – Engraving plates are attached with double sided tape so can be removed by lifting carefully from one side. Replacement engraving will cover any marks that may occur when removing.